Come to Bournda and learn how to be a waste champion for your school. Students will explore the issues surrounding waste focusing on ways to reduce the amount of waste we all produce. Students will investigate the role of worms as decomposers, getting ‘hands on’ with the Bournda worm farm worms. Students will problem solve in groups to tackle waste issues and create an action plan for their school or class. 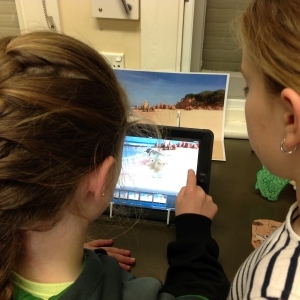 Once students have targeted a problem area, they will design and create an iStop Motion animation to highlight the problem and offer solutions to fellow students. This animation can then be shared back at school to help spread the ‘Waste Warrior’ message. Interactive iBooks, educational games and hands on activities are all used to focus on the ideas of reduce, reuse, refuse, repair and rethink!